Life has been a whirlwind lately. The weather has been a tease and only giving us snippets of nice weather and then giving us a ton of rain. So my evenings have been spent inside more often than I'd like. But it's hard to go for after dinner walks when it's cold enough for a winter jacket or it's pouring rain. 1. Adam and I have been playing more video games lately since our evenings have been damp and chilly here. Hiding under blankets with cats snuggled up is the perfect way to spend time together. 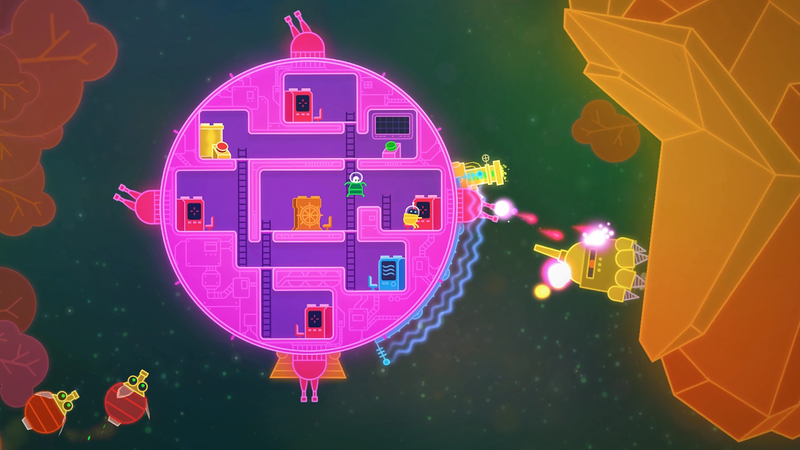 Lovers in a Dangerous Spacetime is a game Adam downloaded on the Playstation Network. It's a co-op adventure game and highly addictive. You work together to steer and protect your ship, while also saving bunny friends, fighting off enemies, and making your way through space. It's so much fun and I want to play it every night. 2. Hot Topic released a Retro Disney collection with the most adorable dresses. My favourite one is The Little Mermaid, which is no surprise. The colour is perfect. 3. I know the third season of iZombie JUST started. But, oh man, I'm so loving it. Seriously, catch up or start this show if you haven't watched it already! What fandoms are you into now?